The PFCC has decided, after consultation with the public, to propose to the Police, Fire and Crime Panel a police precept for 2019/20 of £71.27 for a Band D property within North Yorkshire. This would be an increase of 2.99% (or £2.07) per annum, from the 2018/19 level. Legislation requires that the Police, Fire and Crime Commissioner (PFCC) agrees their budget and associated precept and basic council tax for the forthcoming year before 1st March each year. However before doing so the PFCC must notify the relevant Police, Fire and Crime Panel, by the 31st January, of the precept which they propose to issue for the following financial year. The Provisional Local Government Finance Settlement was announced by the Secretary of State for Communities and Local Government, James Brokenshire MP, in an oral statement to the House of Commons on Thursday 13 December 2018. Within the announcement it was set out that stand-alone fire authorities would see an average increase in their Core Spending Power of 2.2% given council tax referendum principles for all Fire Authorities would be maintained at the previous years’ level of 3%. This means that any increase in the Fire Precept of 3%, or more, would require a referendum. Consultation with the public of North Yorkshire has been undertaken to help inform the PFCC of their views in relation to precept increase for the Fire Service. The results of consultation with the public of North Yorkshire in relation to the level of Fire precept for 2019/20, which is the first undertaken since the transfer of Governance to the PFCC and which had 2,741 responses, which compares to less than 100 received by the previous Fire Authority, has resulted in 76% of the telephone survey respondent and 74% of the Open On-Line survey supporting an increase. In looking at the public opinion, a clear majority support an increase to the precept. It is worth noting that nearly 50% support an increase that would be in excess of the referendum principles. 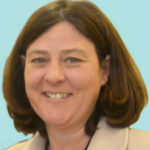 The PFCC, having consulted with the public and taken their opinion on board, has reviewed the advice of her officers in relation to the inherited financial position she now has responsibility for, after the transfer of Governance for the Fire and Rescue Service from the former North Yorkshire Fire Authority. With this in mind, the PFCC has decided to propose to the Police, Fire and Crime Panel a Fire precept for 2019/20 of £71.27 for a Band D property within North Yorkshire. This would be an increase of 2.99% (or £2.07) per annum, from the 2018/19 level. The PFCC’s Chief Finance Officer and S151 Officer has advised that the financial implications of this Decision are set out in the Executive Summary and/or the attached report. The decision will ensure that the PFCC meets her legislative requirements in relation with the Fire element of the precept. The PFCC inherited a Medium Term Financial Plan (MTFP) from the former Fire Authority that had an underlying £1.2m annual imbalance, and organisational plans that would have seen this imbalance increase to at least £2.5m across the life of that 4 year plan. That MTFP assumed a 2.99% increase in 2019/20. While much work has been done to stabilise the financial position of the organisation this proposed Precept increase unfortunately does little to address the underlying budget imbalance that the PFCC inherited. Options will therefore need to be developed over the coming 2 years to return the Fire service to a recurring balanced financial position.